We are excited to host a coming together of women and men to applaud, discuss and debate issues pertaining to women in today’s modern society and tenaciously challenge bias centred around this year’s theme of ‘Balance for Better’. 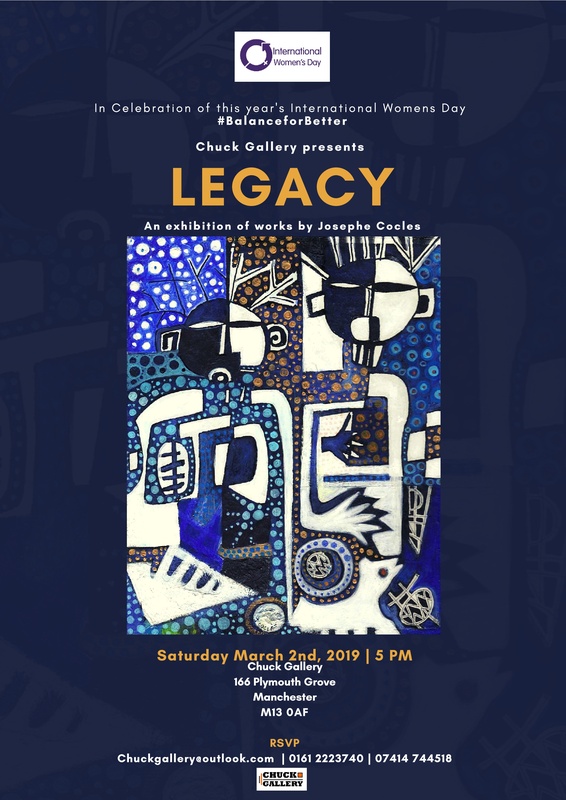 The focus of the IWD event at the gallery will be the launch of LEGACY. Selected to study at the prestigious Ecole Nationale Superieure des Beaux-Arts in Paris at the age of 19, Josephe will present a body of work using symbolism to reflect her artistic representations of leaving a legacy. As well as the launch of Josephe's exhibition, the evening will feature a panel of distinguished ladies and men in their respective fields discussing the 2019 IWD theme – #BalanceforBetter – helping to forge a more gender-balanced world. Guests are also welcome to share their views on this theme. The launch of the exhibition will take place on Saturday, the 2nd of March at 5:00 pm with the exhibition continuing every day until the 24th of March.